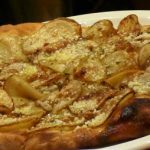 Pizza comes in many forms and styles: NY thin-crust, Chicago deep-dish, Detroit-style pizza, thick Sicilian and more. 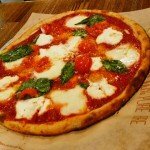 But when it comes to REAL pizza in my mind, you have to go back to the motherland, Neapolitan pizza from Italy. 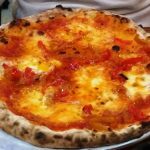 Now there are strict rules for true Neapolitan pizza: 00 flour, San Marzano tomatoes, and mozzarella di bufala to get that tender delicious, thin crust, soft melty cheese and fresh tomato flavor. 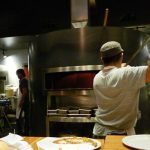 Neapolitan pizza is usually served as a single-serving pie and cooked in wood-fired ovens. 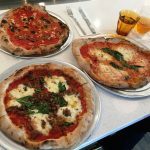 But the reality is that when you find Neapolitan pizza in the US, it’s often more like Neapolitan-style and takes some liberties on the official guidelines. But in my opinion for pizza, Neapolitan is the only way to go to truly understand what great pizza is about. 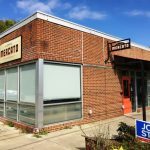 And thankfully, the NC Triangle is starting to sprout up more Neapolitan-style pizza places over the past five years! 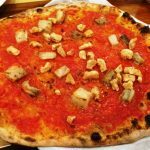 Here’s a quick tour of some of your best options for Neapolitan pizza! 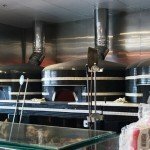 Treforni, Durham – Probably the most authentic and affordable option in the area, with three wood-fired ovens you know they mean business. They do a very traditional and simple Neapolitan pie (1 or 2 toppings) at about $12. 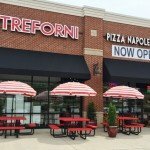 Casual with table service, Treforni hits all the high points for me when it comes to Neapolitan pizza. 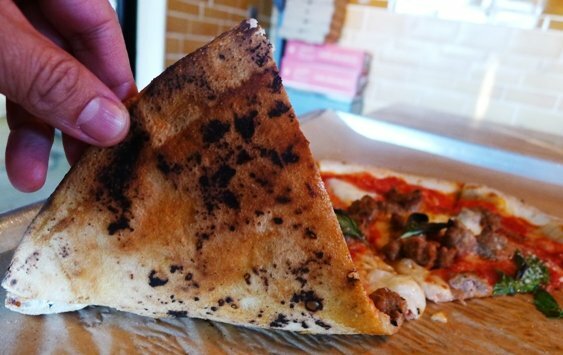 Great crust, nicely charred with quality ingredients is what Neapolitan is all about. Capp’s Pizzeria, Chapel Hill – A bit off the beaten path in southwestern Chapel Hill near Pittsboro, I am really impressed with the pizza coming out of this joint! 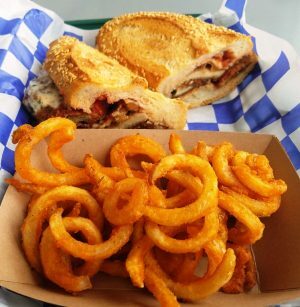 Great crust, crushed tomatoes and fresh mozzarella cheese, Capp’s spins things up a bit with its combinations. 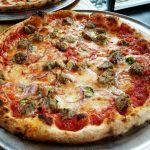 Don’t miss the Mama Mia with meatball, red onion and jalapenos. They also do a traditional (for Connecticut) clam pie on the Friday and Saturday! 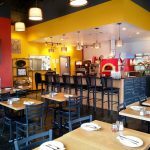 Pizzeria Toro, Durham – One of the first Neapolitan pizza spots in the area, Toro does some really good pies in a hipster setting. Expect to get a little fancier with their pies and the prices rise accordingly ($14 to $18). While they still do a good pie, I’ve also got some burnt ones here which is not cool if you’re paying a premium. But a good spot if you’re hanging out in downtown Durham and want some Neapolitan pizza. 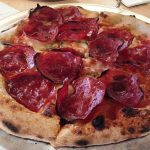 Pizzeria Faulisi, Cary – A newer entry in the Neapolitan pizza craze, Faulisi does a very solid pie and crust (mix of 00 and Boulted Bread flour). 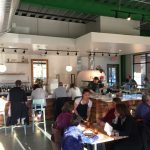 Decor-wise it sits neatly between casual and hipster with a bright, light and white interior along with some counter service. Love their pies, it’s got a snappy crust and keeps things simple the way Neapolitan pies should be. And it sits conveniently right next to Bond Brothers beer so who can complain about great pizza and beer? Pizzeria Mercato, Carrboro – A cool little pizzeria run by Gabe Barker in a funky little corner of Carrboro. They are doing more Neapolitan style with a snappier (stiffer) crust but it still holds mostly true. 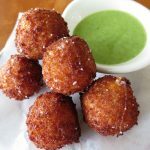 They also offer some great appetizers and entrees, do NOT miss their arancini (serious noms). Pizzeria Mercato is more of an Italian restaurant to me, doing really good za. I just wish it was a bit closer to me! 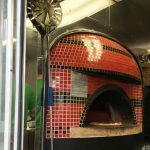 Pompieri Pizza, Durham – Pompieri was one of the earlier entries into the Neapolitan pizza race in the Triangle and it’s still chugging along. The concept and space is quite different, located in an old firehouse, lined with aquariums and family-friendly. The pies are very thin crust and are served uncut with a pair of shears. 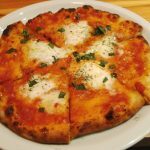 While they definitely use quality ingredients here, it’s not quite traditional Neapolitan pizza here which is fine for most people. 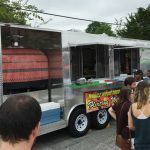 Flirting with Fire food truck, Various Locations – This very cool food truck hauls around a SERIOUS wood-fired oven all around the Triangle! And the one time I was able to try them out at a street fair, I was pretty impressed. Solid crust and they stick to the basic topping options. If you find them in the neighborhood, Flirting with Fire is definitely worth the visit! 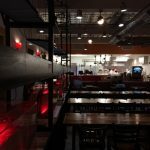 Blaze Fast-Fired Pizza, Morrisville – Ok, feel free to laugh at me but I do think that this chain is doing an excellent job serving up Neapolitan style pizza! Given their unlimited toppings model, it’s definitely not traditional but the crust is pretty close! 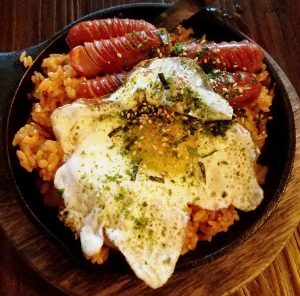 And for $8 you really can’t beat the price. 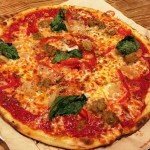 I love my pizza but try not to be a pizza snob, and Blaze hits all the right notes. 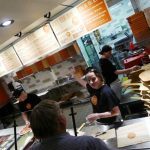 The casual but cool interior along with Chipotle style ordering makes Blaze super family-friendly, too. 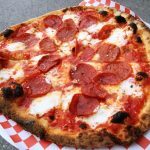 And there’s more great pizza coming to the area with more traditional pies such as Hutchins Garage, Brookside Market and Oakwood Pizza Box! Which is great news for us all because, not everyone has a friend with a wood-fired pizza oven. 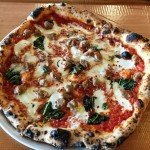 As a huge Neapolitan pizza fan it just makes me happy to see these options popping up. 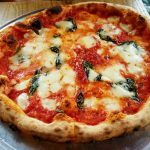 I’ve made the pilgrimage to great pizza places around the country like DiFara, Totonno’s, Motorino, Antico, Tony’s Pizza Napoletana and more. 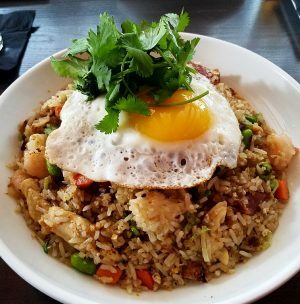 It’s just wonderful to have some good local options here near home! 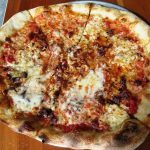 So if you’re a budding pizza fan, give one of these spots a try and I’m sure you’ll be loving that thin-crust za, too.